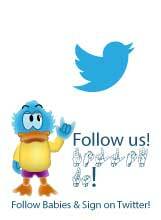 Sign language is typically only thought of in the context of the deaf community and children with hearing impairments. My child has special needs. What are the benefits of using sign language? Research indicates multiple advantages for development in children with special needs. The development of speech, language, social, emotional and academic skills is enhanced through the use of sign language. Sign language accelerates the acquisition of speech by stimulating areas of the brain that are associated with speech and language. Babies develop the gross motor skills needed for signing before they develop the fine motor skills associated with verbal speech. 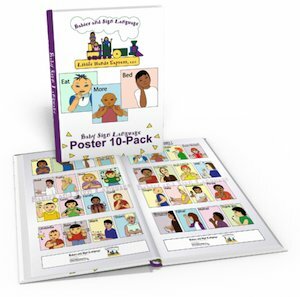 Signing provides language stimulation and conceptual information that enhances vocabulary development in children. Many children with special needs experience difficulty with expressive language and verbal ability. Sign language gives these children access to communication while strengthening the ability to produce expressive speech. Children with special needs often experience frustration when communication becomes difficult. This frustration manifests itself in the form of temper tantrums, aggression, depression and other socially unacceptable behaviors. Sign language reduces frustration by providing a way to expressively communicate in situations where verbal communication may not be successful. Sign language breaks down communication barriers for children with various disabilities and needs. 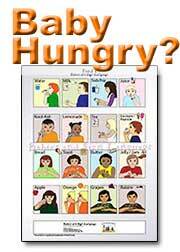 By expanding vocabulary and social opportunities, sign language naturally enhances self esteem. Children who face communication barriers benefit greatly when they are provided with various accesses to language and learning. These children develop better communication skills through sign language and are consequently happier and more independent. Children begin to develop language from the time that they are born. The brain begins to make connections through auditory and visual input. Children with special needs often have one or more impairments that affect normal development in the brain. Sign language essentially jump-starts the areas of the brain that are linked to speech and language development. Language is a primary building block for learning and academic development. Sign language stimulates intellectual development and helps children to retain information longer because it is a supplements speech input. Using many modes of input strengthens connections in the brain and therefore benefits academic development. My Child Has Special Needs - When Should I/we Start Using Sign Language? Babies develop language and knowledge from stimuli in their environment beginning from birth. Research has shown that babies develop the fine motor skills needed to form speech at approximately one year old. The gross motor skills needed for sign language develop months earlier. The frustration for most parents of children with special needs is that identification often does not occur this early. Signing with your baby regardless of special needs is a most wonderful idea; and, it is never too late. As soon as your child is identified with a special need, sign language can immediately be used to provide numerous developmental benefits. 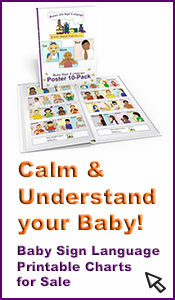 Who Else Utilizes Baby or Child Sign Language for Its Magnificent Benefits? Sign language is becoming more widespread in the United States. It is commonly being used in homes across the country with hearing, hearing impaired, and special needs family members. It is commonly thought that sign language is only for the Deaf community, but this is definitely not true! The benefits of sign language are applicable to everyone. For this reason, sign language is also being implemented in various educational settings. 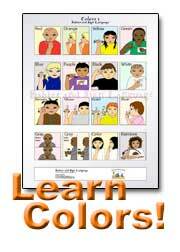 It is used not only in deaf education classrooms, but also in special education classrooms and preschool classrooms. It is also used in unconventional settings such as hospitals. Many hospitals find sign language to be useful with both adult and pediatric patients that have a communication barrier, such as a tracheotomy. The benefits of sign language are so great that it is increasing in popularity in a variety of contexts! Should I Sign With My Special Needs Child? Ultimately the decision to sign with a special needs child is up to the parent alone. The most important thing a parent should keep in mind is that these children often need input from multiple modalities. These modalities can be visual, auditory and kinesthetic. Sign language is a wonderful and beneficial tool for providing visual benefit in addition to verbal/auditory input. When there is a deficiency in one area, such as language learning disorder, one modality can provide a foundation for the development of another. Sign language can scaffold the acquisition of speech-language development as well as social and academic development. 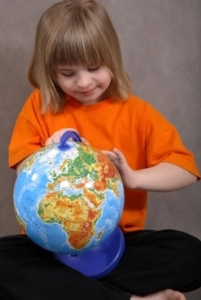 Down Syndrome and Sign Language - Boost Development Skills!